276 pages | 16 B/W Illus. Attaining the benefits of (especially fiscal) decentralization in government remains an enduring challenge, in part because the re-arrangement of public functions across levels of government has often been carried out poorly. This book aims to provide a firmer conceptual basis for the re-arrangement of public functions across levels of government. In doing so, it offers practical advice for policy makers from developing and emerging countries and development cooperation practitioners engaged in such activity. 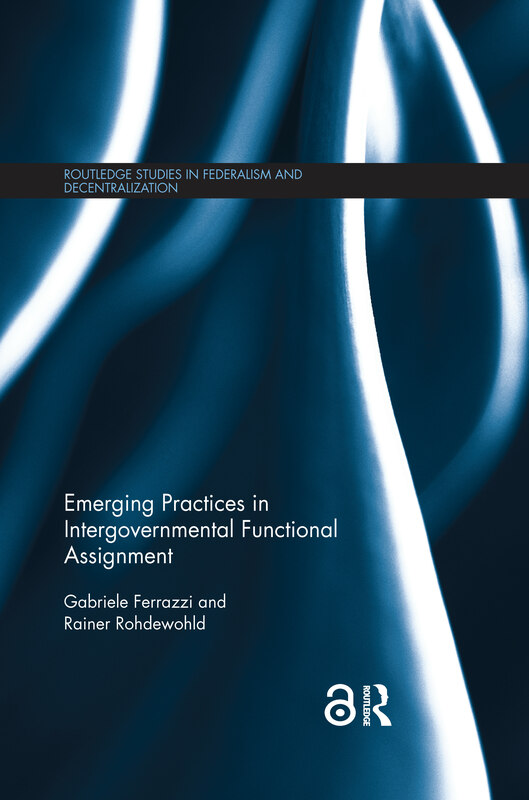 Combining a theoretical approach for inter-governmental functional assignment with an in-depth analysis of real-life country cases where functional assignment (FA) has been supported in the context of international development cooperation, it underscores the common technical and political challenges of FA, and also demonstrates the need to expect and support country made and context-specific solutions to FA processes and results. Examples are drawn from a number of developing/transition countries from the Asia-Pacific region, Africa and the OECD, which outline and suggest advisory approaches, tools, principles and good practices and approaches. This text will be of key interest to scholars, students, policy-makers and practitioners in public policy, decentralization, local governance studies, public administration and development administration/studies. Gabriele Ferrazzi is Adjunct Professor at the School of Environmental Design and Rural Development, University of Guelph, Canada. He has worked for over 20 years as a consultant on decentralization and administrative reform projects of relevance to functional assignment supported by German development cooperation (GIZ) and other development partners. Rainer Rohdewohld is a Senior Decentralization Policy Advisor from German development cooperation (GIZ), with more than 25 years of work experience on administrative reform, decentralization reforms/local governance and capacity development issues in Asia (Indonesia, Cambodia, India, Pakistan, Nepal) and West Africa (Ghana). He has worked for a range of multilateral and bilateral development cooperation agencies, like Asian Development Bank (ADB), UNDP, and Swiss Development Cooperation (SDC).